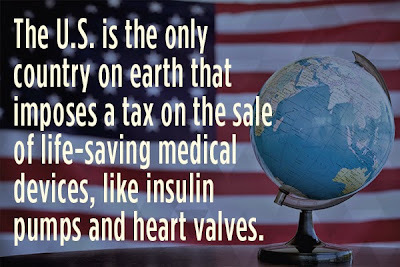 Americans For Prosperity: The U.S. is the only country on earth that imposes a tax on the sale of medical devices like insulin pumps and heart valves. As a result, the businesses that make these products are subjected to one of the highest effective tax rates of any industry in the world, crippling medical innovation and increasing the cost of life-saving devices. 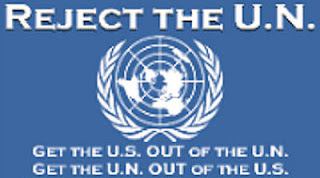 The government often levies similar excise taxes on products deemed harmful -- such as alcohol and tobacco to discourage. Should we really be using the same type of tax on medical devices? The medical-device tax threatens thousands of jobs as a result of this tax, disproportionately harms small businesses, and should be repealed. Tags: Obamacare, repeal, medical device tax, Americans For Prosperity To share or post to your site, click on "Post Link". Please mention / link to the ARRA News Service. and "Like" Facebook Page - Thanks!